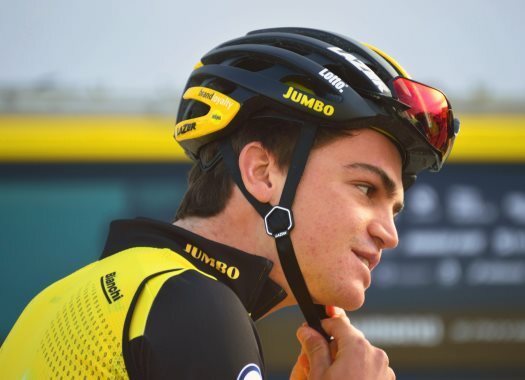 Sepp Kuss (LottoNL-Jumbo) has taken his third stage victory at the 2018 Tour of Utah. The American showed once again his top form by crossing the finish line on his own for the third time on this race. The last stage of the American race took the riders in and around Park City over a 126.1-kilometre route that featured one climb of the second category and an hors-category ascent. The stage started actively with several attempts of a breakaway, which was finally formed within the first 30 kilometres. The front group included riders like Sam Bewley, Rob Power, Nate Brown, Daniel Jaramillo, Gavin Mannion and Brayan Sanchez and got a four-minute advantage over the peloton. LottoNL-Jumbo took control of the pace of the pack for most of the stage to protect Sepp Kuss' overall lead. The last ascent of the day took a toll on the front group who lost members as the kilometres passed. When the group only had four riders remaining, Brown attacked and left the others behind. With around 17 kilometres to go, Kuss and Jack Haig (Mitchelton-Scott) made a move from the peloton and went on to chase the front man. At 16 kilometres from the end, Kuss accelerated and went on his own as Haig couldn't hold the pace and one kilometre later, he got to Brown. The rider of EF Education First tried to stay at the wheel of Kuss, but he couldn't resist the pace of the American. A couple of kilometres later, Hugh Carthy (EF Education First) got to Haig and soon left him behind to go in the chase for the race leader. With five kilometres to go, BMC's Brent Bookwalter and Keegan Swirbul (Jelly Belly), joined Haig and Carthy in the chase group. Kuss crossed solo the finish line for the third time on this race and secured his overall victory on the race, he also took the lead of the Mountain Classification. Bookwalter and Haig were second and third of the stage. Ben Hermans (Israel Cycling Academy) and Haig completed the final podium of the race.